Bruzer is a phenotypically imposing bull with real world muscle mass, base width, and loads of rib dimension. 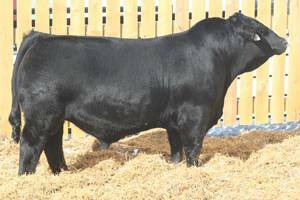 He’s a high performance sire who posted a 789#WW. Homozygous black and homozygous polled.